We can all agree that sharing is an important life skill learned at a young age, teaching us how to help each other and work together for the greater good. But sharing these days has taken on a whole new meaning. Social media has made sharing what you’re doing (and eating) “cool”, ride sharing makes getting around more convenient, and workspace sharing provides an affordable alternative for businesses. In fact, co-working spaces have made it possible for many entrepreneurs, freelancers and start-ups to work in a professional setting and have access to infrastructure while providing flexibility as a business grows or scales back. 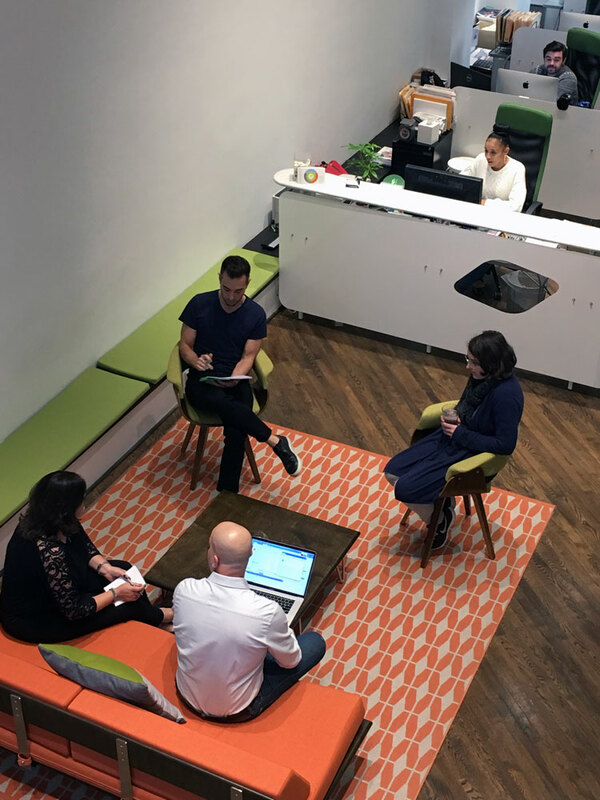 With these benefits aside, it got us thinking, what else does sharing workspace provide and what effect does it have on the business and on us? Today’s workplace seems to be more than just an environment where we come to perform our job responsibilities. It’s the place where we share a good portion of our lives. It’s become our specialized community where we feed off one another’s energy and experiences, where we face challenges and celebrate successes as a team. 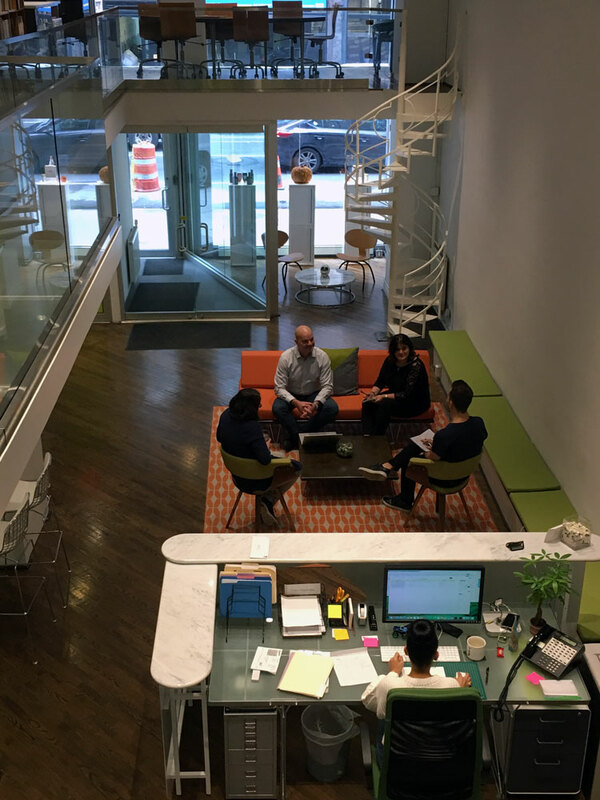 For these reasons more and more companies are doing away with traditional offices, moving to co-working spaces or redesigning their offices to incorporate open work stations, areas for collaboration, comfort and social interaction. Companies are focusing on bringing their teams together and creating efficiencies where everyone can play to his or her strengths for the greater good of the company and for their own personal satisfaction. Sure, you can work from a home office or remotely while traveling and still be connected through technology, but often the human element gets lost. Working together physically helps develop relationships. We tend to learn better when interacting, collaborating and sharing with each other just as we did when we were children. Could it be that being around other people just makes us feel better? In a world that’s become so automated, isn’t it refreshing to talk to a real person? Or better yet a real person in person? After all we are social beings who generally appreciate interaction with others to make us feel happy, and when we’re happy, the quality of our work and our lives increases, having a positive effect on us both personally and professionally. Next PostBrand It and Make It Mine.